Temperate south-eastern lowland native grasslands are among Australia’s most threatened plant communities and have recently been listed as a nationally threatened ecological community under the federal governments Environmental Protection and Biodiversity Act 1999. Commonly restoring these grassland communities is by the reintroduction of plants grown as container-stock. Another approach to grassland restoration is by direct seeding. Paul presents his work in this area. 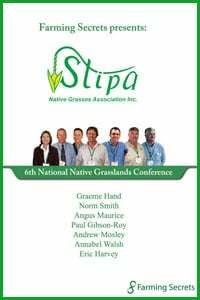 What’s on the “Stipa 6th Native Grasslands Conference” DVDs? Norm runs a 7000 ac grazing operation primarily on native pasture. Despitebelow average rainfall Norm has increased stocking rates and pereniality and decreased annual weeds. Changing to Soft Rolling Skin merino stud no longer requires muelsing which has opened market doors. Angus’s family has been comparing conventional, no till and pasture cropping for several seasons. 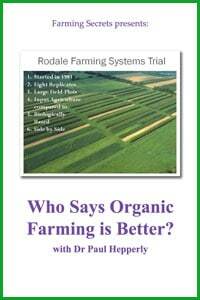 This presentation details what he has found in terms of the business and landscape benefits of pasture cropping. Some of the benefits have been more stable results as well as an increase in soil health as well as increases in native grass establishment and diversity. In the last 5 years, the Mosely’s have made significant positive environmental improvements on the 26,000 ha of land they care for. Successfully reversing the degradation caused by continuous grazing and finding effective ways to regenerate the natural landscape, the Mosely’s are working on restoring and rejuvenating the water, mineral and carbon cycles by increasing ground coverwith predominately deep rooted native perennial grasses. In 2000 Eric purchased land which he managed in a completely conventional agricultural model. Then in 2003 Eric fell out of the shearing shed and broke his back and leg in three places, but he didn’t stop and think! Then in 2004 he had a massive heart attack forcing him to stop and think and as a result management changed! Eric now practices biological farming from a holistic management aspect and this process of change will continue to evolve. He keeps extensive records of all his farming operations and is very excited about the outcomes! Eric has moved the property from negative to positive profits. DON’T SAVE $30! SPEND IT NOW ON THIS EXCELLENT SERIES. YOU’LL BE DELIGHTED! 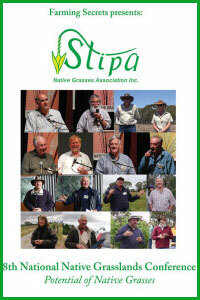 FIND OUT HOW TO SURVIVE AND MAKE PROFITS WITH NATIVE GRASSES – even in drought years!